As the weather becomes cooler (well, sort of), we’re looking forward to warming up inside the Museum with our third installment of Artful Pairings this Thursday—an exclusive night of drink tastings and Museum tours for adults. This event will feature a tour of our new exhibition Cult of the Machine: Precisionism and American Art, and what better drink to go with quintessentially American art than bourbon? We’ll hear from the folks at Crooked Fox Bourbon about their product, and mix our own cocktails with bourbon as the star, paired with small bites from our cafe. To get you in the mood for some barrel-aged goodness, here are some fun facts about bourbon and a few works from our collection that pair nicely with them. 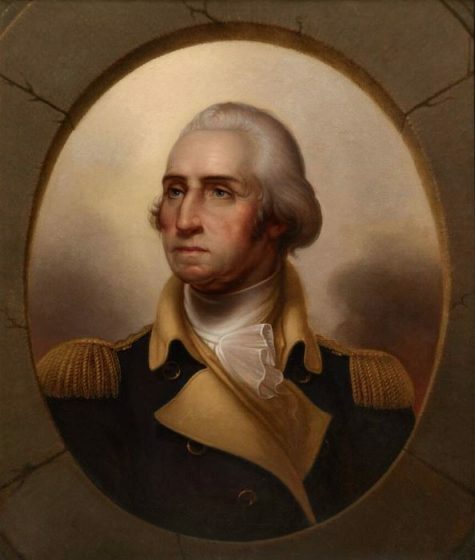 Did you know that George Washington played a role in how bourbon came to be? In 1789 frontier farmers violently rebelled against their new American government for trying to tax their whiskey, which they used for currency and trade (not just for drinking). As George Washington led an army out west to end this rebellion, some of the disgruntled distillers fled further west to Kentucky, where they thought they would be able to operate under less restrictive conditions. These settlers ended up distilling corn-based alcohol, which gave us the modern day drink we know and love. To pair with this fact, we have the portrait of George Washington by Rembrandt Peale. Peale widely advertised this portrait with pamphlets including quotes from family members and friends of the president to show this was the most accurate portrayal. His advertising campaign worked, because nearly 80 versions of this portrait exist, including one hanging above the dais in the US Senate Chamber. Although many people could argue the differences between American bourbon and Irish whiskey, they are much closer in production process than you might realize. Bourbon barrels can only be used once for storing the liquor before bottling. Once those barrels have had one batch in them, some become furniture or firewood. Others are repurposed for aging either soy sauce or—most often—Scotch whiskeys made across the pond. Much like the rules and regulations keeping bourbon from being made outside the US, Scotch whiskey can only be made in Scotland. 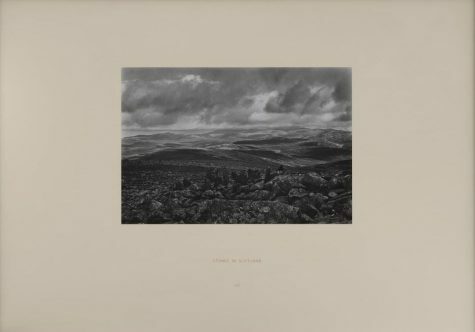 The landscape and natural materials of Scotland inspired the land artist Richard Long to create his space-specific artworks. When Irish immigrants settled in Kentucky, they discovered they could make corn into a sweet-tasting liquor. Even though the Irish Americans believed they had come across a new form of alcohol, many cultures in Central and South America had been making corn-based alcohol for centuries. 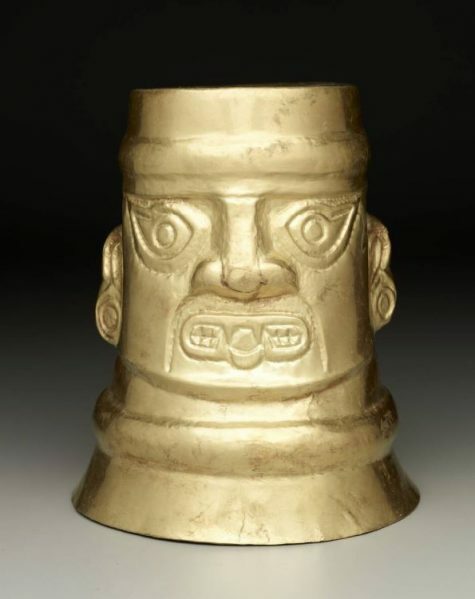 The golden cup above is from the Sicán peoples, who lived around the Andes in Peru until around the 12th century. The vessel would have been used to drink chicha, a corn-based beer that is still made today in many areas of South America during special ceremonies. We hope this whets your appetite to learn more about this American-made spirit. We still have a few spots open for Artful Pairings, so get your tickets here for the program on Thursday, October 4, at 7:00 p.m.
Katie Cooke is Manager of Adult Programs at the DMA.